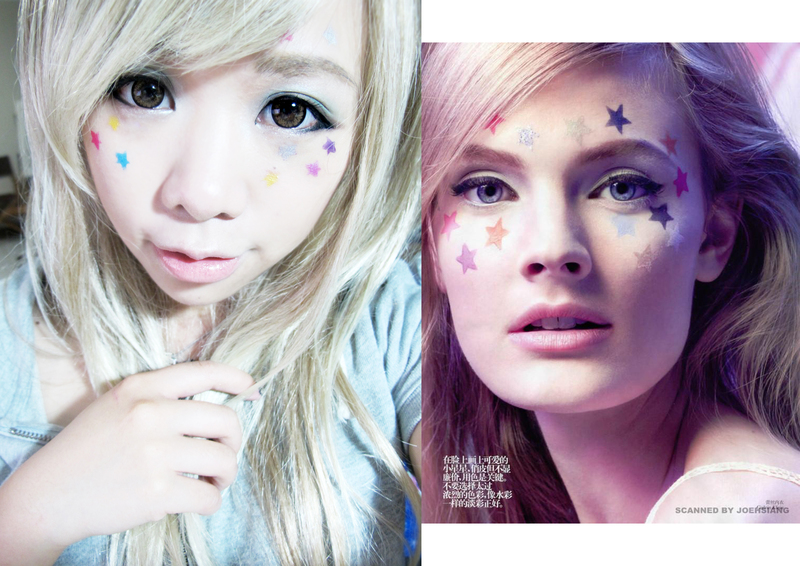 Raymond Meier- Constance Jablonski Inspired makeup with kpop liner!!! Hey everyone! Sorry I didn’t around to blogging yesterday! 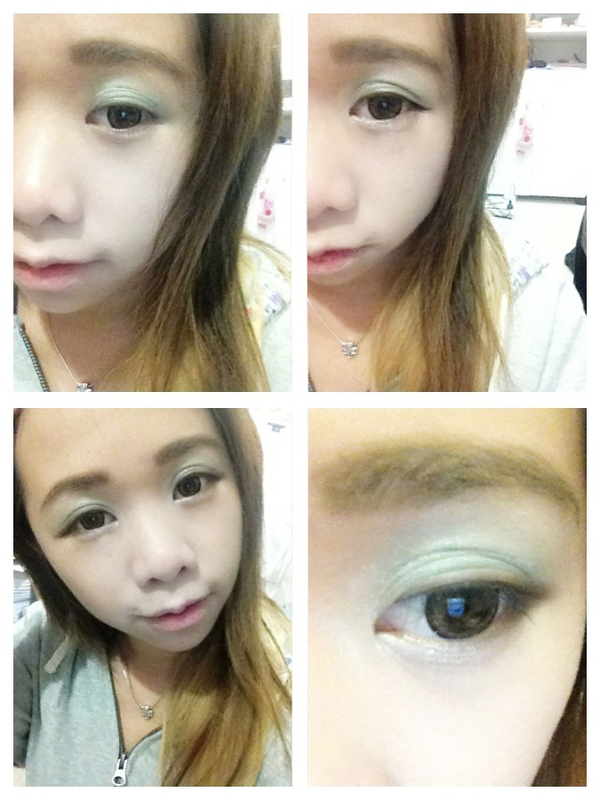 I’m really busy these days but nevertheless, a tutorial today! 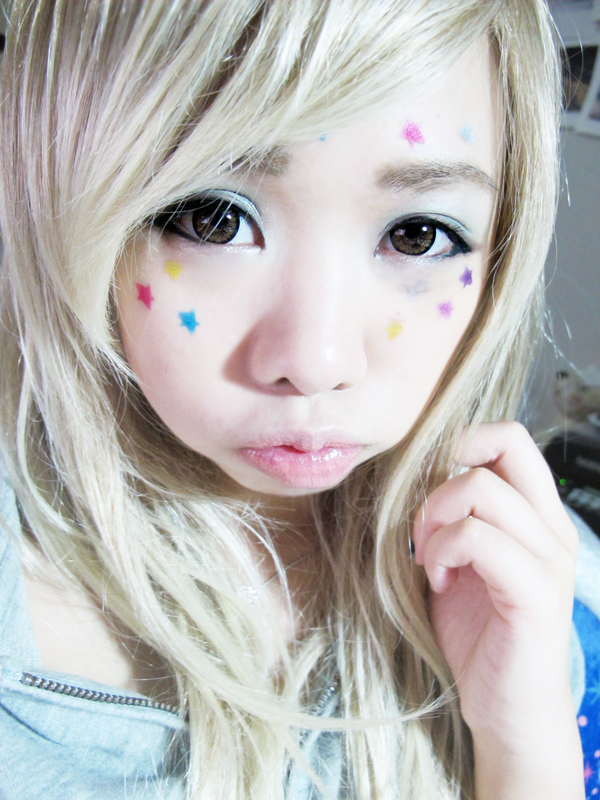 I thought it was a bit fun and interesting to do…heheheh~ so here it is! 2. Then apply serum, primer, concealer and today I mixed my foundation by Gorgeous with my Hera CC cream for a flawless and glowy face. 3. 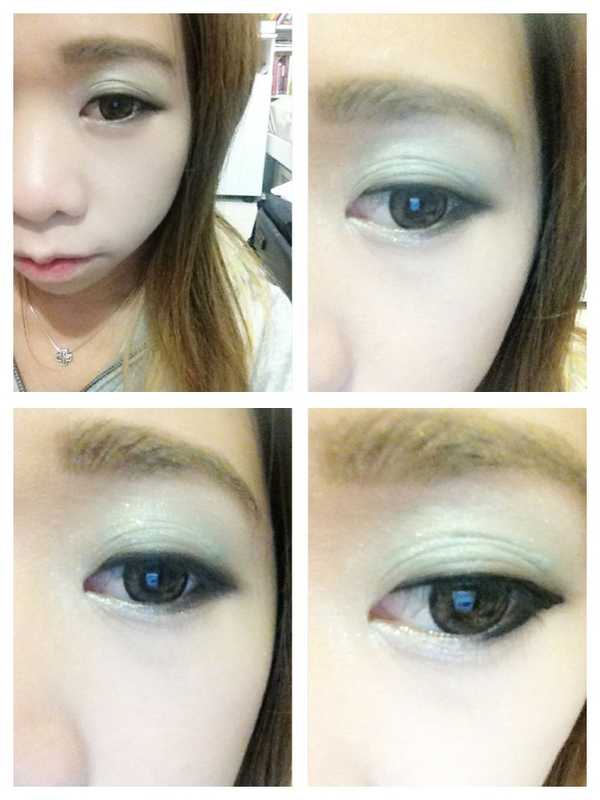 Apply a turquoise green all over your eyelids followed by a lighter shimmery pastel green. 5. Take a brown pencil liner, line your upper water line and the outer 1/3 of the bottom lashline. This will be the guide to your kpop liner! make sure you don’t turn this eyeliner into a winged liner! SImply follow the curvature of your eyelid and drag the line downwards not upwards so you can create a straight line across for your bottom liner. 6. Take a taupe or soft brown and blend over it. 7. Now take a gel liner and line your eyes, following the shape you have just created! This will be the base for your liquid liner. 8. Clean the look with a liquid liner over the gel liner. With the bottom, start from the outer half and draw straight across to connect with the end of the wing from the top liner. 1o. Take that cut out you made earlier! 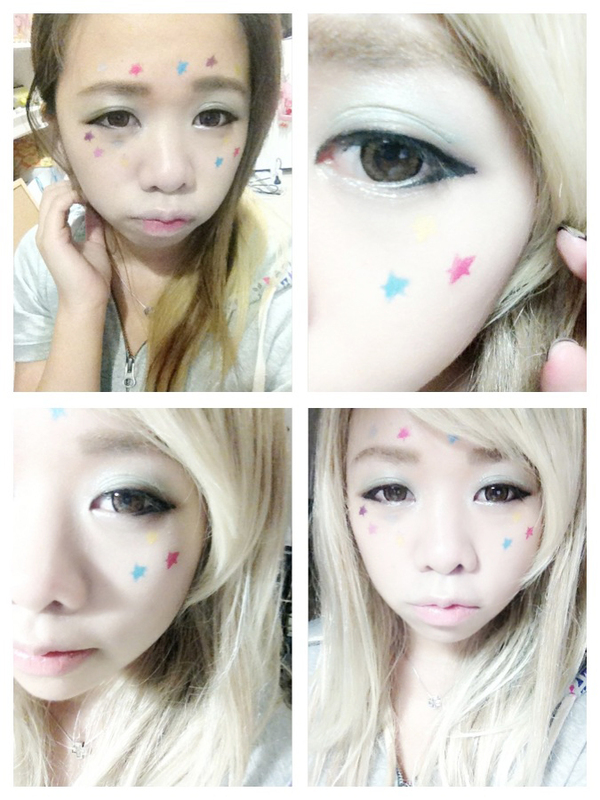 Place it onto your face and apply shadow over the shape to make the stars shine on your face!!! 11. Apply a baby pink lipgloss and wuhluh!